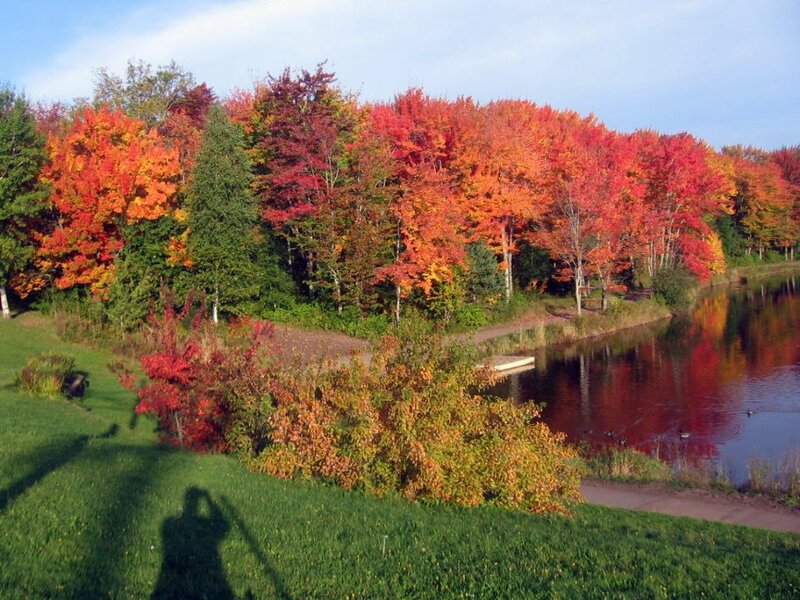 Temperatures were well above normal during October in Greater Moncton – and if not for brief cool snaps near the beginning and end of the month, the monthly average may have been even higher. Precipitation was also well above average but interestingly enough, the bulk of it fell on just four days with more than 25% falling on the 20th alone. A powerful Nor’easter at month’s end brought not only heavy rain but 6.6 cm of snow as well – more than twice the monthly average. The storm dubbed “Snowtober” moved into New Brunswick yesterday after pounding the U.S. Northeast with record amounts of snow. While mostly snow fell in western New Brunswick with up to 20 cm recorded in some areas, mostly rain fell in eastern New Brunswick with up to 50 mm falling near the Northumberland Strait coastline. Roads became slushy and that proved deadly – RCMP say three people died when their vehicle crashed Sunday near Rogersville. Greater Moncton Airport recorded a whopping 45.6 mm of rain and 6.6 cm of snow. A Nor’easter event dubbed “Snowtober” has dumped an unprecedented amount of snow over major cities in the U.S. Northeast. New York’s Central Park recorded 7.4 cm of snow – the most snow on any October day since records began in 1869. Hartford, Connecticut was much snowier with 31 cm while other parts of the state and neighbouring Massachusetts received up to 60 cm of snow. 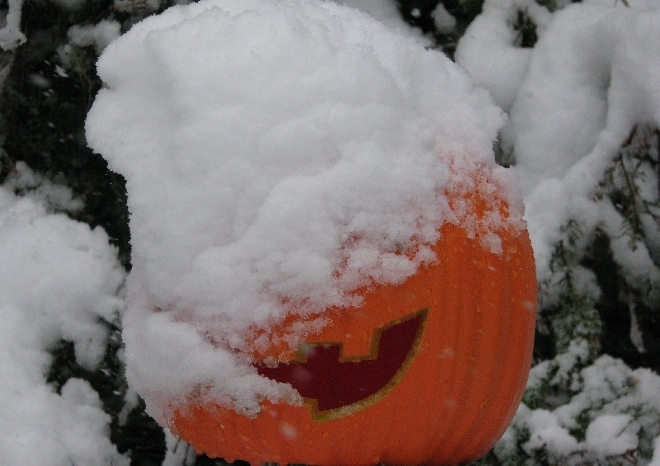 Washington, D.C. got 1.5 cm which was record-breaking since the city had previously never received snow on Oct. 29. 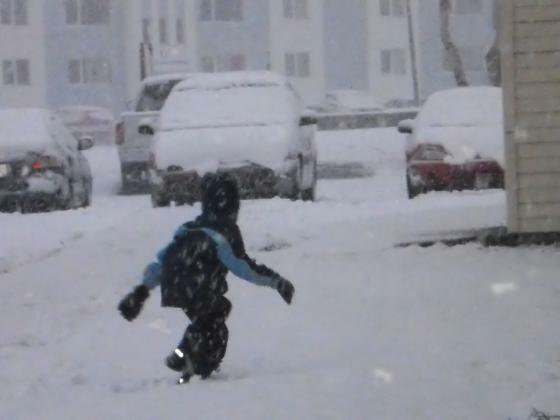 Newfoundland received an early taste of Old Man Winter today when snow fell over parts of the island. Forecasters have described the storm as a “weather bomb” with strong, gusty winds bringing lots of rain and snow. Wind gusts up to 100 km/h hit eastern Newfoundland today along with 40 mm of rain while up to 25 cm of snow could fall in central and western Newfoundland. Greater Moncton received wind gusts up to 50 km/h this afternoon from the same system. 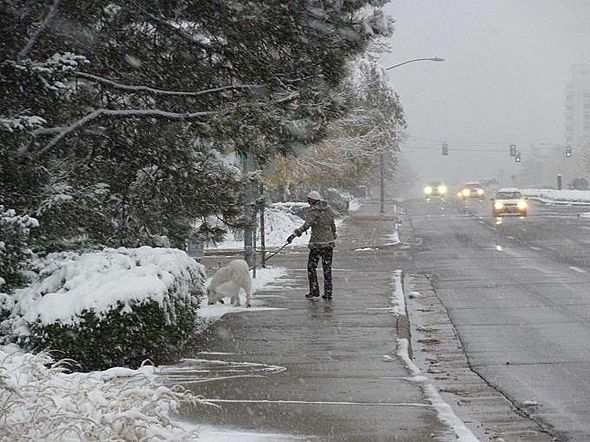 In less than 36 hours, Denver, Colorado, USA went from a record high of 27 C to a winter wonderland with as much as 15 cm of snow in the so-called “Mile High City”. 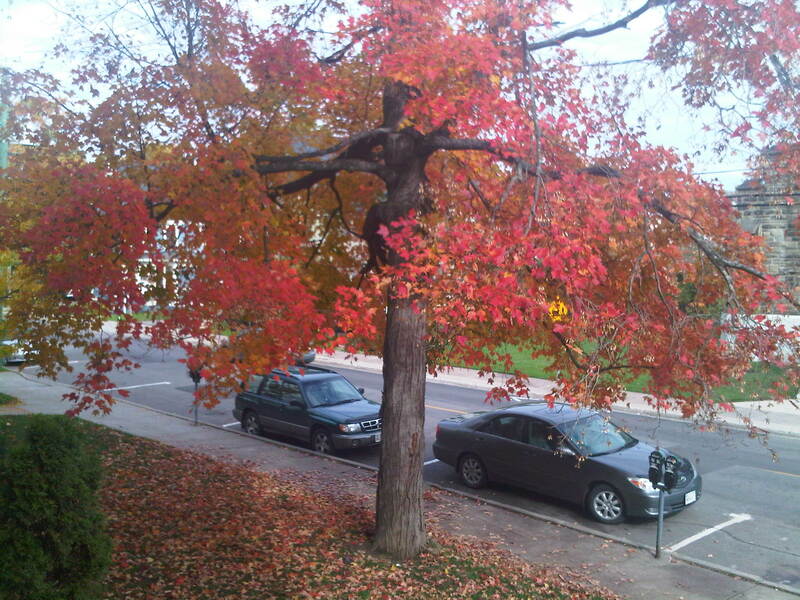 The early wet snow has snapped tree branches still carrying fall foliage. 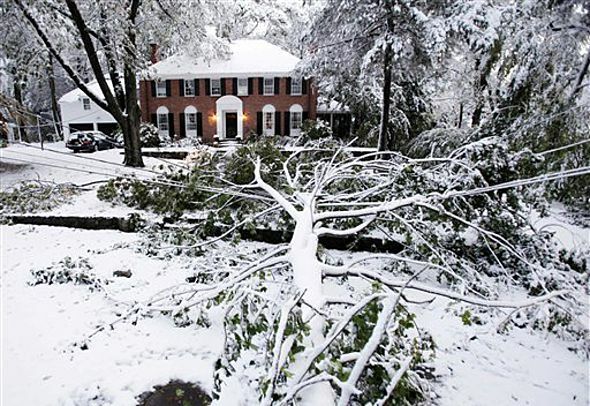 Branches have knocked down power lines causing outages to more than 100,000 customers. Travel through the foothills and nearby Rocky Mountains has been treacherous with more than 30 cm of snow reported in some areas. 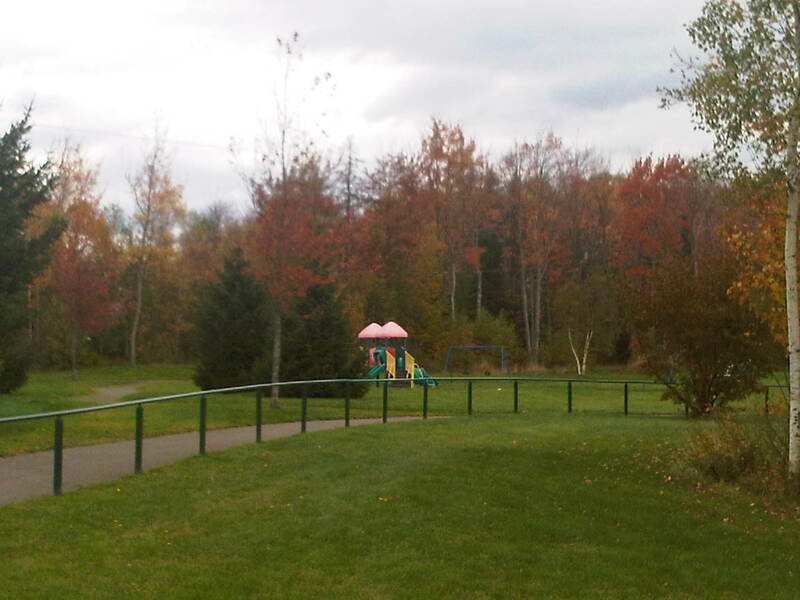 The peak period for fall foliage in New Brunswick has come to an end. 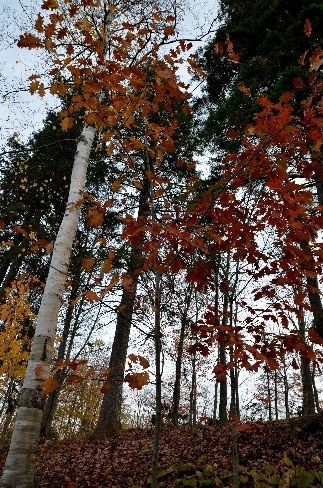 Nearly all trees have begun to turn colour in Greater Moncton and some have no leaves at all – thanks to strong, gusty winds last weekend in the region. Tourism New Brunswick notes the foliage season is over in northwestern New Brunswick with most trees now bare. But there is still quite a show to be found in southern areas of the province with oaks a bit slower than maples for shedding leaves. A fall rainstorm has caused flooding in parts of the Maritimes and has delivered more precipitation in one day than some communities get during the entire month of October. 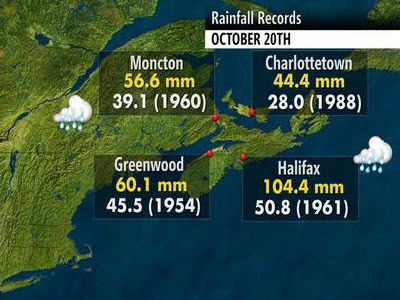 A record dating back more than 50 years was shattered in Moncton yesterday when 56.6 mm of rain fell in the city. The flooding was compounded when water was blocked from catch basins by recently fallen leaves. Even more staggering amounts were recorded in Nova Scotia with more than 100 mm falling at Halifax Stanfield Airport – the wettest day ever in October. Many trees in Greater Moncton are now without their leaves after strong, gusty winds blew through the region over the weekend. Wind gusts were as high as 70 km/h on Saturday according to Environment Canada – fairly typical for October. But oddly enough as some trees are virtually bare, others still have green leaves which have not yet begun to change colour. Hurricane Jova flooded the streets of Mexico’s main Pacific port of Manzanillo with torrential rain today, inundating popular beach resorts and killing at least two people in a mudslide. Streets in Manzanillo were underwater, coastal communities flooded and roads blocked due to fallen trees and washouts after Jova, now a tropical depression, hit the coast as a Category Two hurricane late Tuesday. The Red Cross says the streets of Manzanillo are impassable, as are the highways connecting Manzanillo with the south of Jalisco state. Meanwhile, the popular resort town of Puerto Vallarta, further to the north, was largely spared from the storm. 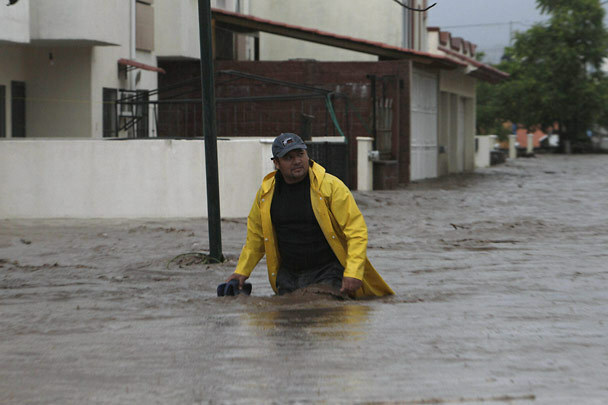 While Jova ravaged the coast, a tropical depression farther to the southeast prompted thousands of evacuations in Mexico as well as flooding and mudslides that have killed 18 in Central America since the start of this week. The heat that enveloped the West last week finally made its way East in time for Thanksgiving weekend. Moncton set a new high of 26.9 C on Sunday beating the former record of 23.7 C from 2006. The hotspots on Sunday were Fredericton and Bathurst which both hit 28.7 C, new records for October 9. Temperatures were not quite as warm today but still about 5 to 7 degrees C above normal for October.